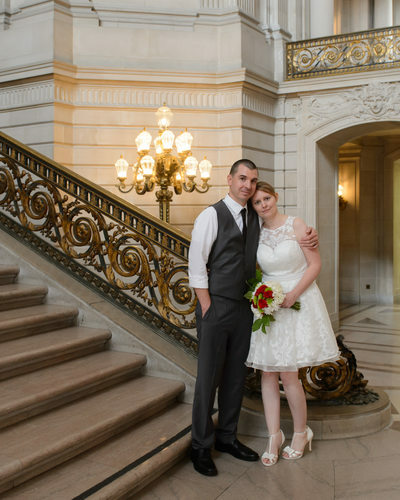 Catharina and Robin came all the way from Germany to celebrate their nuptials at San Francisco City Hall. 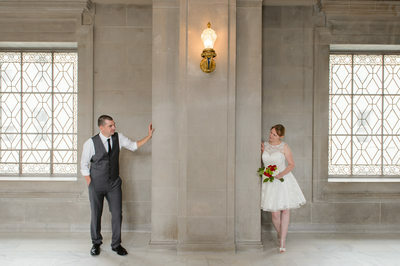 We had a wonderful time photographing their wedding and tried to capture their fun demeanor and great sense of humor. 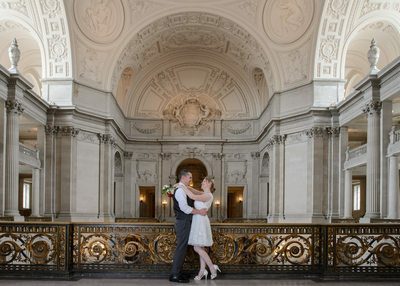 They were interested in us capturing the architecture and beauty of city hall in their wedding photos. 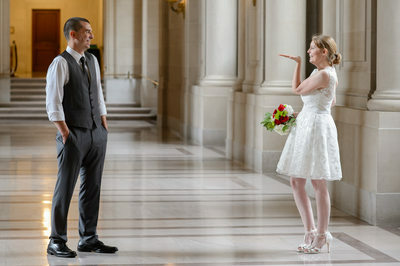 We really enjoy it when we work with international couples because it helps us understand their culture better and makes the wedding a learning experience. Perhaps we asked them too many questions about Germany, but they were more than willing to discuss. Apparently it can get quite cold there! 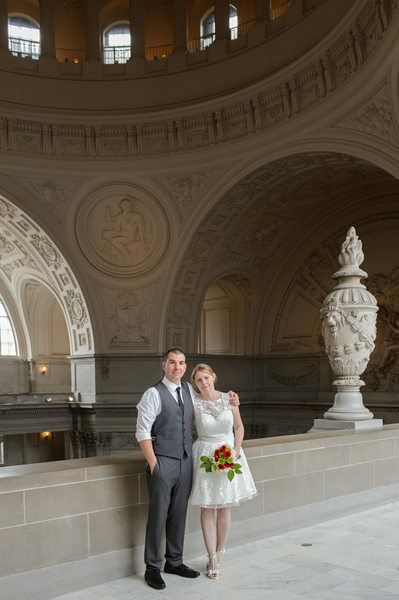 San Francisco fog isn't so bad! 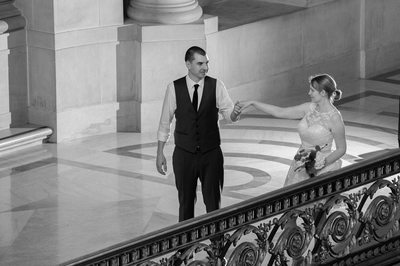 After booking our City Hall PLUS package, we spent a considerable amount of time helping them with planning their wedding day and how we would cover their ceremony. 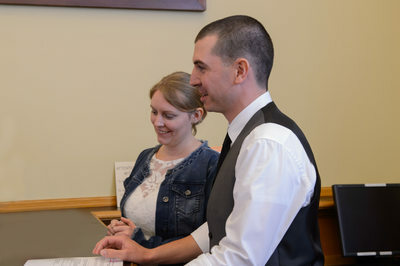 We often help our international clients with wedding planning so they can benefit from our knowledge of the whole city hall marriage process. We are happy to include this free service as part of our normal coverage. 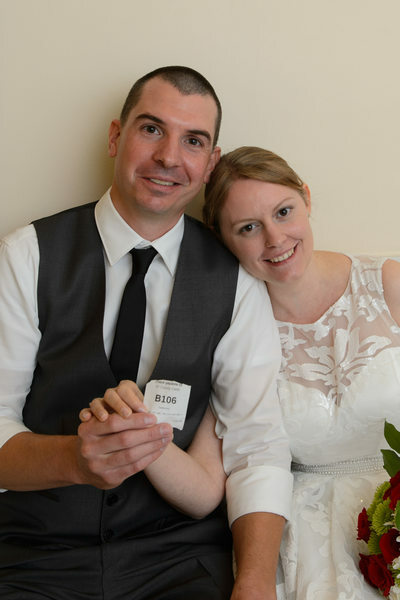 We probably ended up exchanging over 50 emails with the couple with the goal of making their wedding fun and stress free. 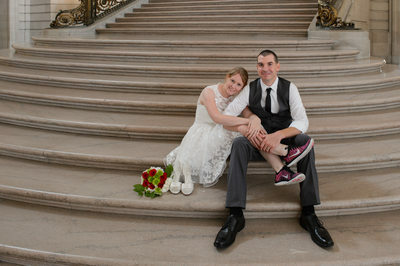 As you can see from the photos above, Catharina had a little surprise in store for all of us, red running shoes! 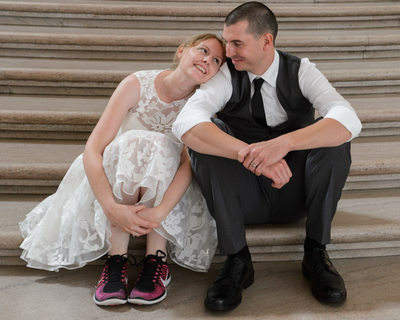 She put them on and we did a few more fun poses with the shoes. Great idea by her and it really enhanced the final photos. 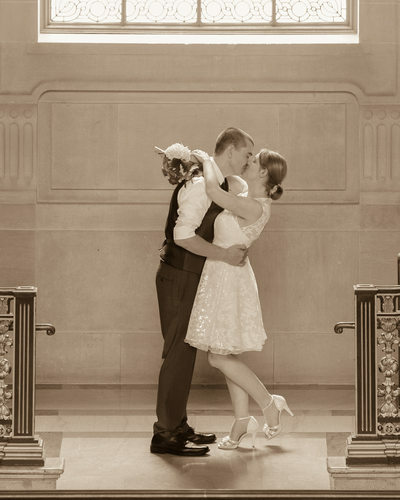 Often times our wedding clients come up with some of the best ideas to personalize their pictures. We are more than happy to help with them! 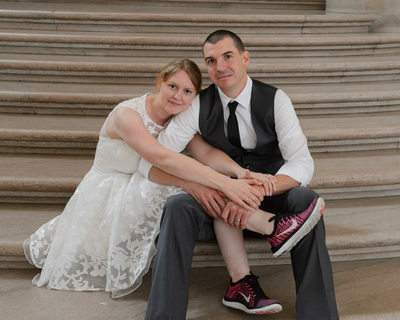 They were so happy with the photos, they ordered one of our beautiful custom wedding albums. We put together a very nice book for them and then showed them a proof. 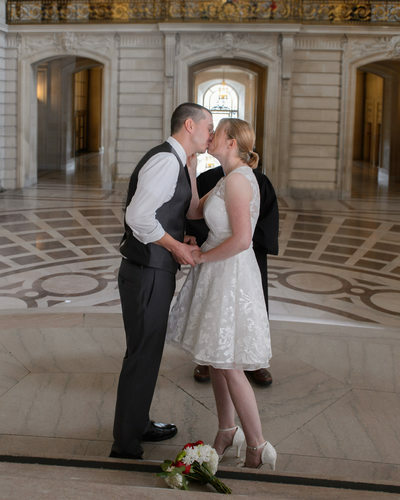 Once we made a few small changes, the wedding book gets published and shipped to the client. 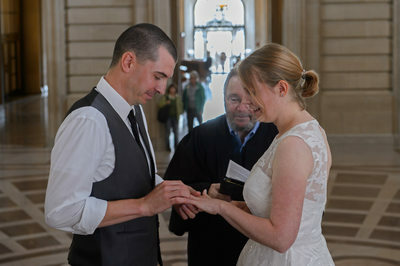 Return to San Francisco Home Page or you can return to our City Hall Gallery page for additional information and galleries to enjoy.